On June 18th, in the context of her secondment to CNRISPA (Italy), Constanza Jana (INIA, Chile) conducted a teaching session on the various aspects of plant breeding, with particular focus on Artichoke. Plant breading requires in-depth knowledge of the target plant, and a clear definition of improvement goals. Plant breeding techniques are key in nowadays plant species domestication. In the present, only 30 of the 700 domesticated plant species are in use. The session was targeted at students of the Liceo Scientifico “S. Simone” – Liceo Classico “D. Morea” – Conversano (BA). The presentation used in the session can be downloaded here. On June 5th, 2018, during the secondment to FEDACOVA (Spain), Dr. Juan Pablo MARTINEZ form INIA-La Cruz, Chile, conducted a RUC-APS teaching session for the dissemination activities of the H2020 RUC-APS project. He travelled to Valencia, Spain. The meeting discussed the role of the Agricultural Research Institute (INIA) in Chile. INIA generates and transfers knowledge and strategic technologies on a national scale, and also as provides with innovation methods to improves competitiveness in the agri-food sector. This session presented the methodologies that INIA applies to recover the local tomatoes with good organoleptic characteristics (colour, taste, and aroma). It also showed the variety of strategies to study the effect of the biocontrol on productivity and quality, to investigate the effect of rootstock on productivity and fruit quality and to use new local rootstock from local tomato varieties and wild tomato species. In addition to this, FEDACOVA’s audience was able to provide feedback regarding their experience in innovation for several domains such as productivity and fruit quality at harvest and postharvest. 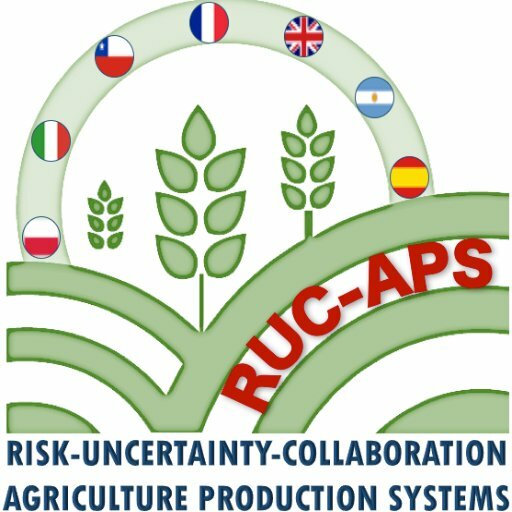 RUC-APS thanks Sergio Barona, and Juanjo Rico for their hospitality and insightful feedback during Juan Pablo’s secondments and for supporting this RUC-APS teaching session. On May 16, Jorge Hernandez led a teaching session on the use of conceptual models to visualize the value chain, specially targeted at researchers of INIA (Chile). This topic interesting for those who seek to develop projects at the level of the value chain and, therefore, use a standard methodology for the characterization of these. In this case, the SCOR methodology is used to conceptualize indicators and GRAI to visualize the flow of information and decisions.